Rhythm is revealed as having a dual power: as a mobilising, disciplinary force, as the inspiration for revolutionary enthusiasm, and as the regulator of new economies of movement. 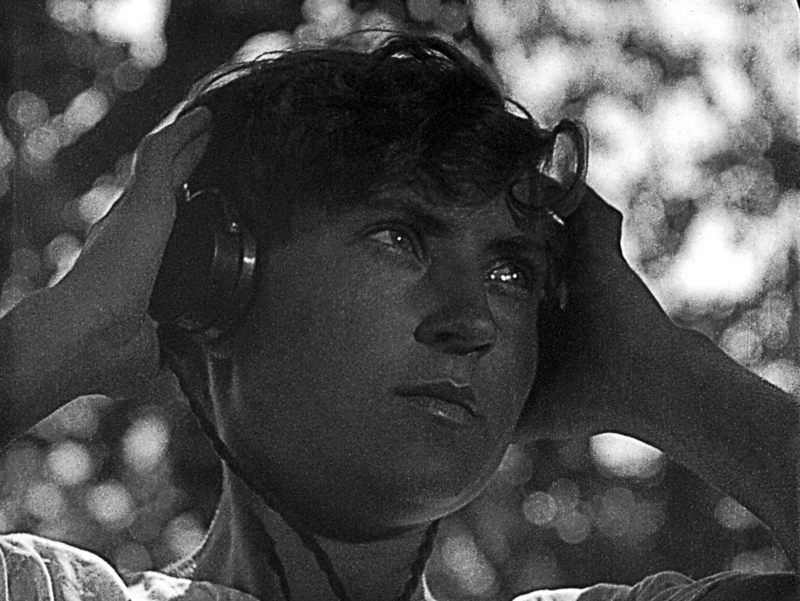 Vertov experiments with the associative potential of image and sound and how they can be mutually exchanged. 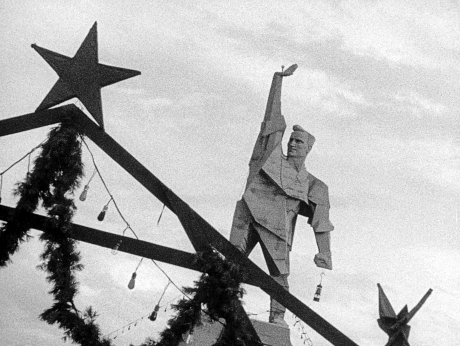 The film was dedicated to Stalin’s first Five Year Plan (1928 – 1932), it glorified industrialisation and collectivisation as well as propagandised the fight against illiteracy and religion. As Lenin stated in 1922 ‘[The Donbass] is the centre, the real basis of our entire economy. There can be no question of any renewal of heavy industry in Russia, no question of any real construction of socialism (for there is no way to build it except through heavy industry), if we do not revive the Donbass and bring it back up to the mark.’ Enthusiasm was shot during the year when the Ukrainisation program was cut down, so the camera still captured many indications of Ukrainisation in Donbas, when the Ukrainian national identity continued to develop. The film was released in cinemas on April 2, 1931, but shortly after was removed from distribution and forgotten. It was rediscovered only in the 1960s due to the renewed interest to the Soviet avant-garde in the West. 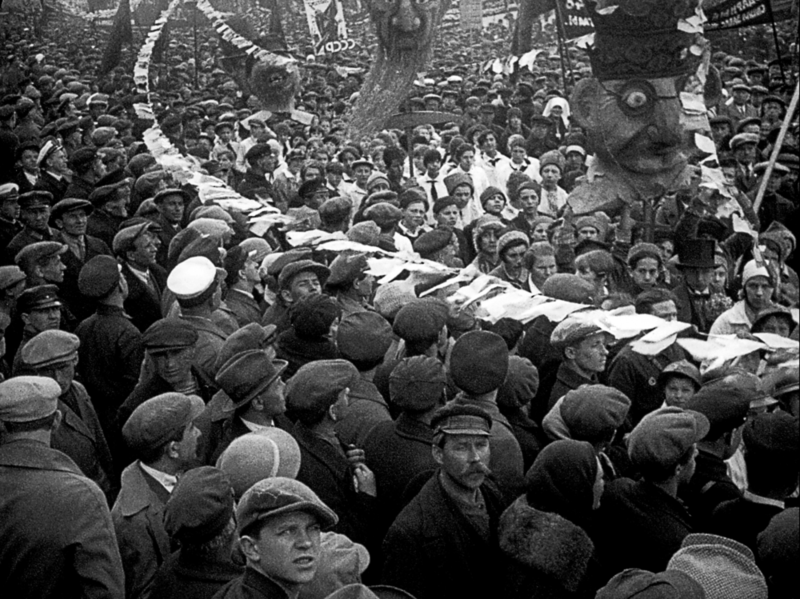 Enthusiasm was restored by the National Dovzhenko Film Studios on request of the State Film Agency of Ukraine in 2011. Enthusiasm: Symphony of the Donbas, dir: Dziga Vertov, 1930. VUFKU Studios Ukraine, DCP, 67min + Q&A. Courtesy Oleksandr Dovzhenko National Centre. Presented as part of Levels of Democracy: Ukraine Film Weekend, more information about all the films in the series here. Film Passes can only be booked via the Tyneside Cinema Box Office.